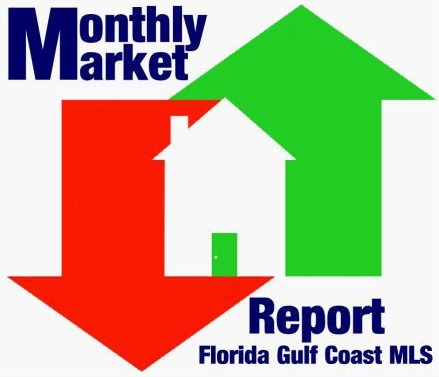 The Florida real estate market has continued to improve and grow in 2013 although some aspects of the market are changing. 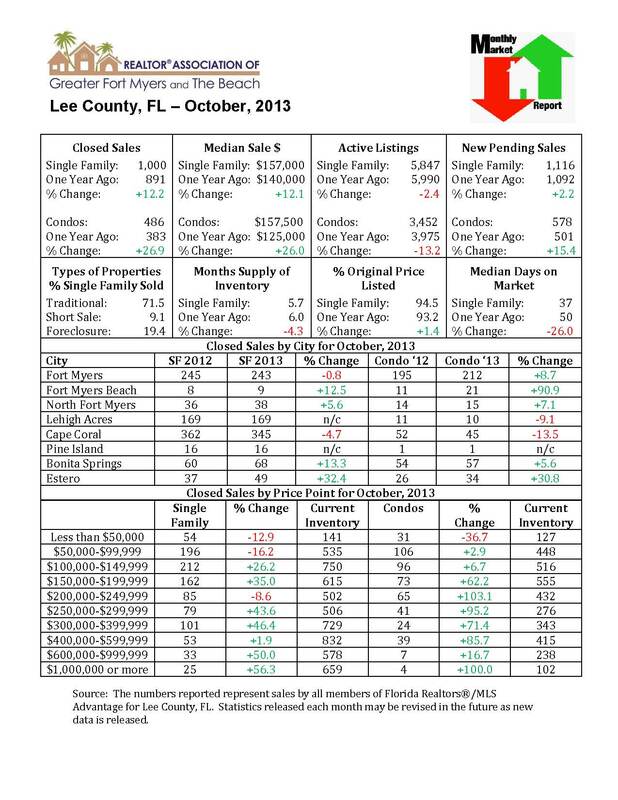 Close sales increased 12.2% year-over-year for single family homes in Lee County. The median sale price of homes increased to $157,000 with a nice gain of 12.1% year over year. Investor activity in the marketplace continues to decline as first time home buyers and second homeowners continue to make their way off the fence and make that purchase. Cash sales as a percentage of close sales in October represented 52.9% of the transactions. This is a 10.9% decline in cash sales year-over-year. Cash sales are the indicator for which investors are participating in the market since they are most likely to have cash available for purchasing a home. Another aspect of the market, inventory, has made a change in direction. Over the last three years we’ve seen inventory levels continue to tighten. But over the last three months the supply of inventory has increased from five to 5.7 months supply. This range of inventory indicates a balanced market. The higher the inventory the more it favors buyers. The lower the inventory the more it favors sellers. I want to point out a significant inventory number here. As of the end of October, those homes priced under $150,000 only represented 24% of the market share. Not a lot of inventory considering this is the sweet spot for local residents as well as investors. If this is your budget my best advice is to move quickly on an offer! Don't send in any lowballs and give yourself an opportunity to compete for your home. So where are all the short sales and foreclosures? Year-over-year short sales declined over 51% and the median price for short sales increased almost 24%. This indicates that while there are still opportunities for distressed sales the banks are no longer working with lowball offers. Foreclosures actually saw an increase of over 33% in closed sales year-over-year. Let’s qualify this figure by stating it only represented 194 sales in Lee County. This is due in large part to banks eliminating red tape and processing foreclosures much quicker. With private equity firms such as Blackstone purchasing foreclosure portfolios directly from lenders we will not be seeing a flood of foreclosures into the market as some had previously expected. So what should you take from this market report? We’re still in one of the best real estate markets to buy in years! Mortgage rates are still historically low and there are still plenty of opportunities to buy right. Well that’s it for this month’s update. If you are ready to take the next step click the contact us button or call 239.671.4046 and we will get you the right home, in the right place, for the right price…that’s the Pinnacle Promise!